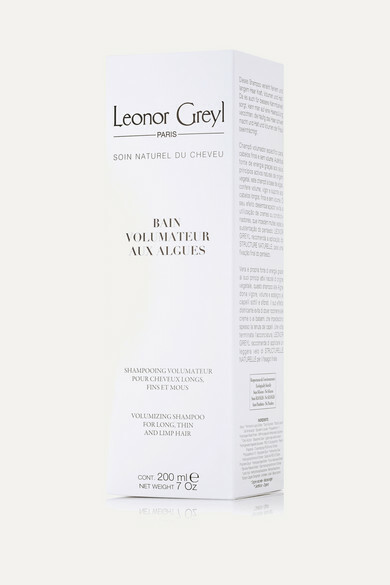 Boost fine, lifeless hair with Leonor Greyl's rich volumizing shampoo. Formulated to add body from root to tip, it's enriched with moisturizing Seaweed Extract and Wheat Proteins to strengthen and protect. Lather up to reveal healthier looking locks after just one wash.